Synopsis: 30 years after the defeat of the Galactic Empire, a new threat rises. The first Order attempts to rule the galaxy and only a ragtag group of Heroes can stop them, along with the help of the Resistance. Look, I’m not even going to pretend that this review is going to be easy to write. Not because I thought the film was bad, because it wasn’t, but because this film is so surrounded by secrecy that most of you probably won’t read this until after you watch the film – and I wouldn’t blame you. So, I’ll keep my promise to you that this will be a spoiler review and I’ll do my best to not even hint at any possible spoiler or could be considered a spoiler. 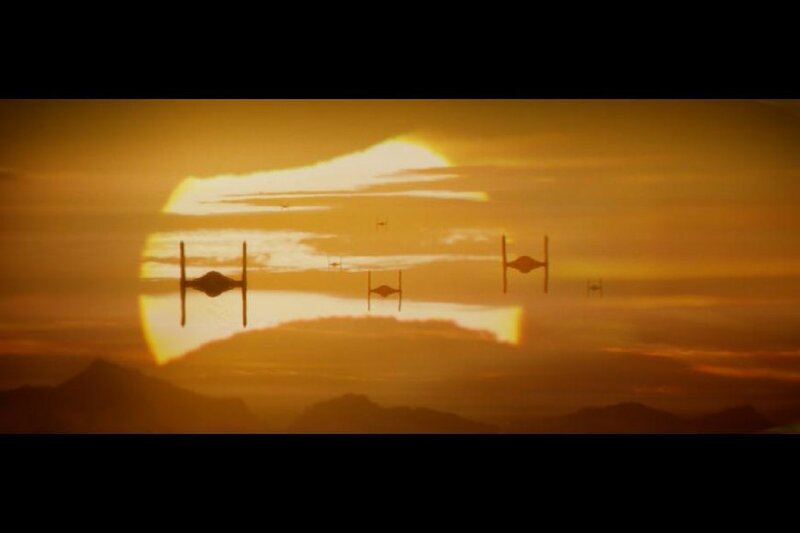 The Force Awakens starts off like every Star Wars film before it, with the crawl. The crawl lets us know the important thing and the plot point that will set up the new trilogy: Luke Skywalker (Hamill) is missing – hence why’s he’s not in any promotional material – and in his disappearance a evil arises called The First Order lead by Supreme Leader Snoke (Serkis) and his generals in General Hux (Gleeson) and Kylo Ren (Driver). The one thing standing in their way is the Resistance which is lead by General Leia (Fisher) who has been fighting them since they rose to power after the Empire feel. In the middle of all this are our new heroes and lead in a Resistance pilot Poe Dameron (Isaac), a scavenger Rey, a former Stormtrooper who’s now on the run, and a droid in BB-8. Along the way they meet up with familiar faces in Han Solo (Ford) and Chewbacca (Mayhew) who also help them out to fight off the First Order and their new weapon that threatens the galaxy. It’s hard not to see the familiar structure of other Star Wars films in The Force Awakens, but what director J.J. Abrams was able to do with the similarities was create something that still felt fresh and was excited to watch from beginning to end. Abrams doesn’t rely too much on nostalgia, although there are scenes that are oozed in it, but instead takes what the series has already given us and adds to it. 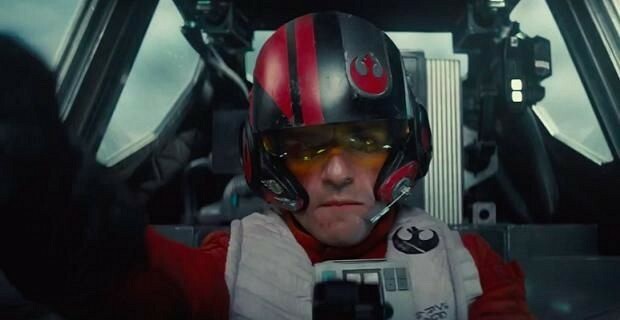 The Force Awakens has great action, cinematography and more importantly, it’s a ton of fun and lets us get to know the characters that we want to root for them and follow their journey to the end. You can arguably say that maybe The Force Awakens relies too much of the similar story structure, but it works nonetheless. The new characters are great, and not a stinker in the bunch. Oscar Isaac is the first new character we see and he brings a nice swagger and charm, that to be honest, I was not expecting and that’s coming from a Oscar Isaac fan. 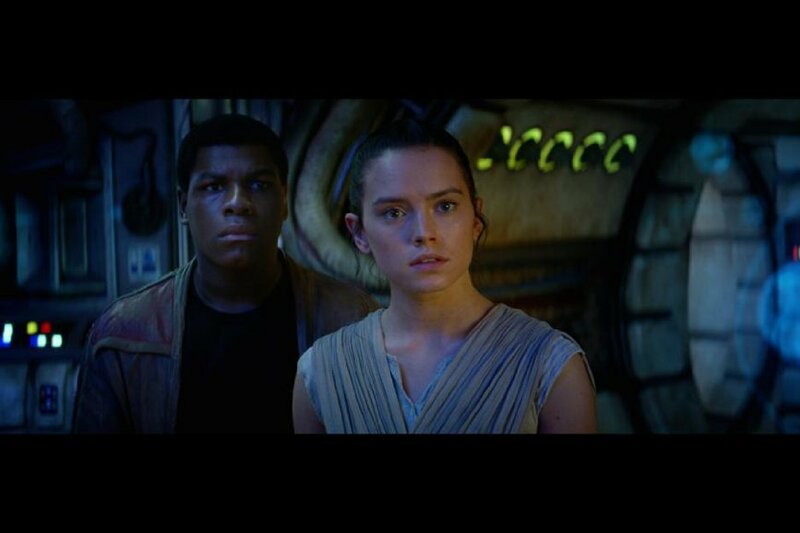 John Boyega’s Finn also brings his own swagger and charm and even brings some of the funniest moments in the film. At the same time, we’re seeing a different side in the battle between the Dark Side and the Light Side. 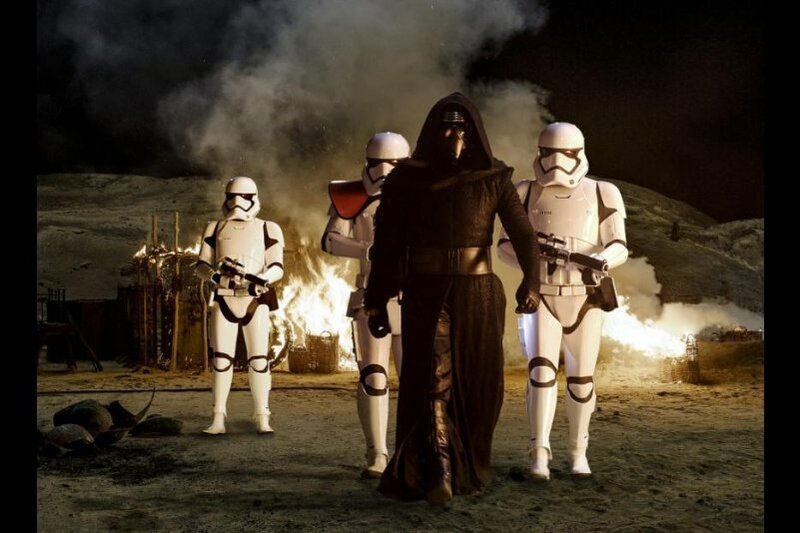 Finn leaves the First Order and abandons his role as a Stormtrooper. We’ve haven’t really seen that side before, and given that Finn is probably one of the characters you really can’t nail down. Sure, he does heroic things in the film and is on the side of the resistance, but he was a Stormtrooper too. Boyega handles it well and if your first exposure to Boyega was Attack the Block like mine, you know he was able to rise to the challenge. Finally, Daisy Ridley as Rey is one of the best characters in the film. She feels like a real person and is a character that you can easily root for. She’s not just a badass character, but one that can be vulnerable, funny, and naïve. Rey, similar to Finn, is looking for more in her life. She’s also heard the stories of Luke, Han and Leia, and is wide-eyed to find out that all of it was real and she’s now going on her own adventure. Rey will definitely be a highlight for many once they watch the film. 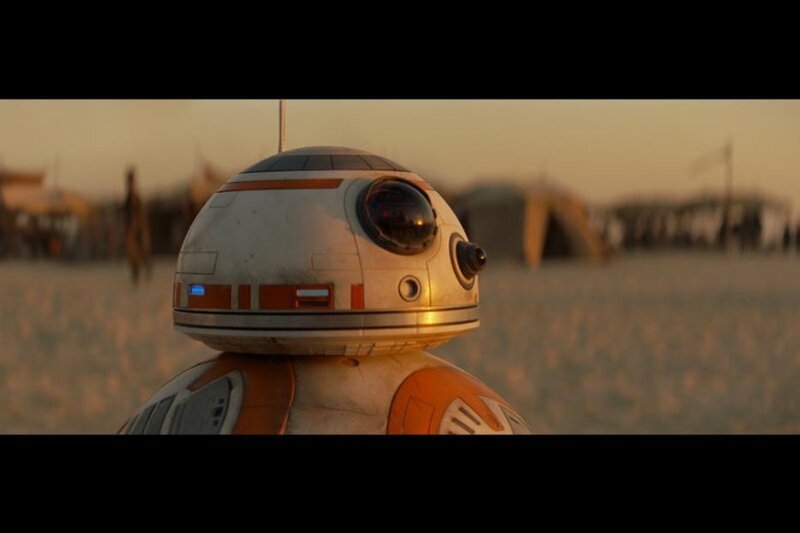 Of course, there’s BB-8 as well. I mean come on, have you seen the commercial’s, have the droids in the past not been great? BB-8 was awesome too. Now let’s talk about the Dark Side. Kylo Ren gets most of the screen time and attention so Domhnall Gleeson’s General Hux, Andy Serkis’ Supreme Leader Snoke and even Gwendoline Christie’s Captain Phasma are just a bit underdeveloped and are clearly saved for the future films, but it still would have been nice to see them a little more, especially Captain Phasma. It’s understandable, obviously, considering this is the first movie of a new trilogy, but it was a little frustrating considering all the secrecy for the characters just to be saved for future films. However, Gleeson’s Hux does get a fair amount of screen time and you really tell there is something about him and the fact that he’s younger than other Generals we’ve seen in these films. Thankfully, not all of The Force Awakens is CGI (I’m looking at you George Lucas!). Abrams goes back to the roots of Star Wars and has a ton (!) of practical effects and physical creatures so the cast can interact with. 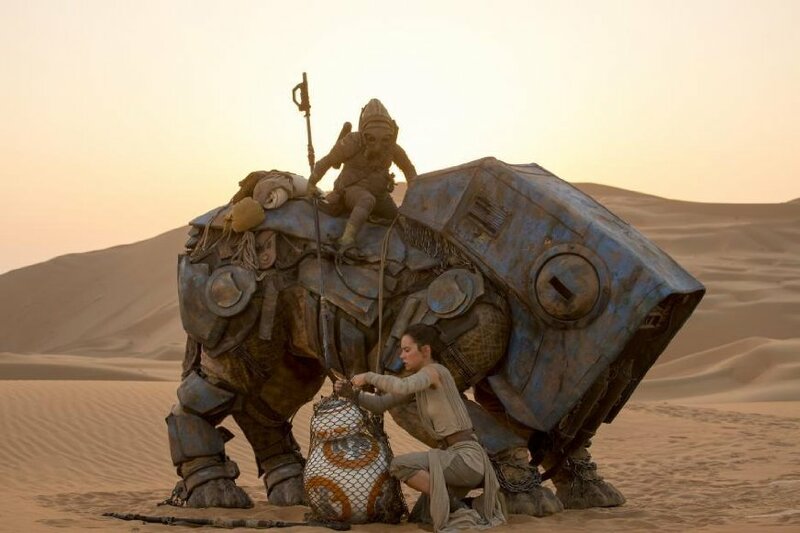 It could have been easier to go with CGI creatures, but the fact that Abrams and producers Bryan Burk and Kathleen Kennedy went the route of building creatures makes the film feel so much more special. Sure there are CGI creatures, but there isn’t an over abundance of them. One of those CGI creatures is Maz Kanata, who Lupita Nyong’o does the voice and motion capture for. Her character appears right in the middle of the film and while her character doesn’t feel important, she does play an important role, and is one of the characters I’m sure we’ll see more of in the future. 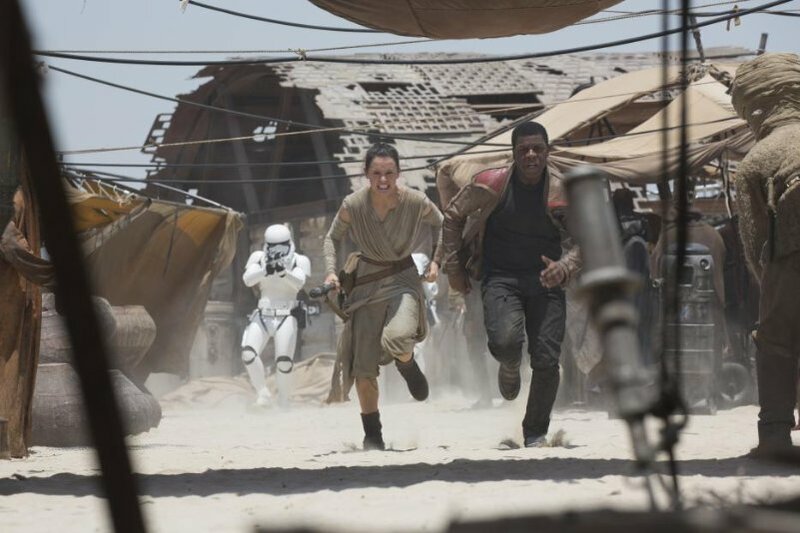 All in all, what makes The Force Awakens undoubtedly work is that the film is fun. It really is fun and funny. Abrams is always able to find a nice balance of action and comedy that they serve their purpose equally and one doesn’t overpower the other. Seriously, I don’t think I’ve had this much fun and laughed with a movie since the summer and Mad Max: Fury Road. The most importantly thing the film does however is that it doesn’t lean toward or on its past. It embraces it future while paying respect to the past. Disney, Lucasfilm, Abrams, who ever deserves the credit, should be given all the credit in the world for making that move. It was great to see the old cast come back, but it was even better to see a brand new cast of characters, especially John Boyega’s Finn and Daisy Ridley’s Rey. 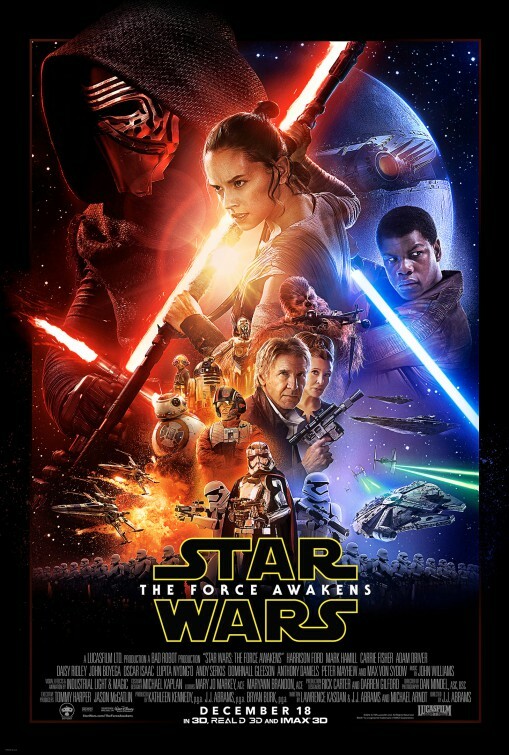 Star Wars: The Force Awakens is truly a great addition, and continuation, to the Star Wars franchise. It will make you feel like a kid again, it will make you cry and more importantly, it will make you happy that there is another Star Wars movie in our lives. This entry was posted in Movie Review, Movies, Review and tagged 2015, Adam Driver, Andy Serkis, Anthony Daniels, BB-8, Carrie Fisher, Daisy Ridley, December, Domhnall Gleeson, Droids, Finn, Galaxy, Galaxy Far Far Away, Gwendoline Christie, Han Solo, Harrison Ford, J.J. Abrams, John Boyega, Lawrence Kasdan, Leia, Luke Skywalker, Luptia Nyong'o, Mark Hamill, Max von Sydow, Michael Arndt, Movie Review, Movies, Oscar Isaac, Peter Mayhew, Reviews, Rey, Spoiler-Free, Star Wars, Star Wars: The Force Awakens, The Dark Side, The Empire, The First Order, The Force, The Force Awakens, The Force is Strong With This One, The Light Side, The Resistance. Bookmark the permalink.